5. NELLIE BOND, daughter of, ELISHA BOND 1796 and NANCY BATSON, was born July 20, 1834, and died Dec 17, 1871, buried in Hatten Cem Stone Co MS. She married ABSOLOM ( ABB ) LEWIS HATTEN, Nov 21, 1854 in Harrison County, MS. He was born Jan 30, 1834, and died Jan 04, 1919. After the death of NELLIE BOND, he married, to his (2nd) wife, BASHEBA BOND HATTEN. i. SYLVESTER HATTEN, b. 1854; d. 1931. married, SARAH ANN EDMONSON. ii. MARTHA HATTEN, b. April 05, 1857; d. Feb 15, 1910, married, J FRANK P BOND. iii. NANCY HATTEN WHITE, b. Jan 23, 1861; d. Jan 06, 1935. wife of, JOSEPH WARREN WHITE. iv. ROBERT WIGGINS HATTEN, b. Feb 25, 1863; d. Jan 09, 1942. married, MARY ELIZABETH WALKER. v. PETER D HATTEN, b. Feb 22, 1866; d. Mar 09, 1899. married, CATHERINE BRELAND. vi. 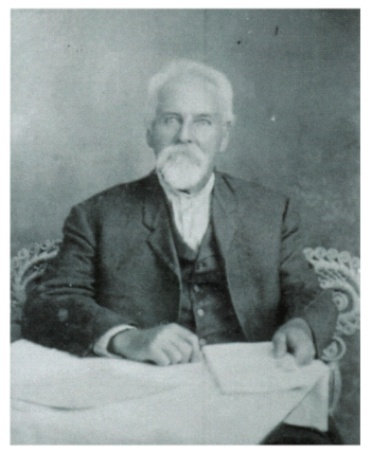 JAMES B HATTEN, b. 1868. married, LAURA TINER. vii. DICY HATTEN, b. 1870; d. 1874. ACKNOWLEDGEMENTS: EARL K BOND, KENNY HATTEN.